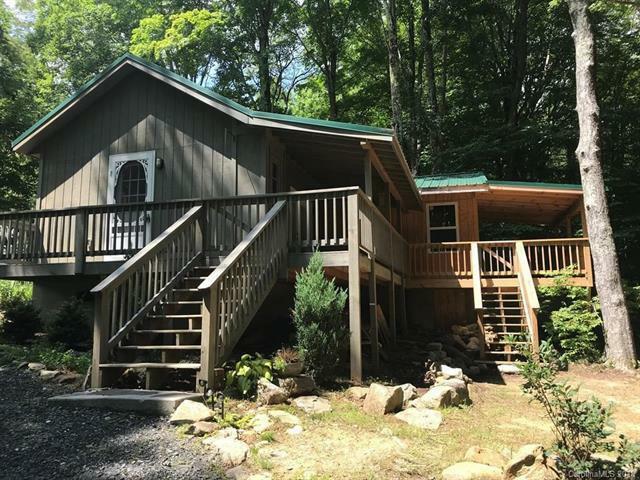 974 Cook Town Road, Bakersville, NC 28705 (#3413935) :: Robert Greene Real Estate, Inc.
Come and getaway in these tiny cabins overlooking a Bold Creek. Relax on your porch and hear the sounds of rushing water and the sounds of nature. There is a main cabin with a full kitchen, laundry and full bath with a nice wood burning stove to keep you nice and warm year round. The Bedroom is not complete but is almost complete. The second cabin need some finishing touches as in insulation and minor work to finish bathroom and kitchen. These cabins are perfect for the family getaways to enjoy the mountains with long range views and a nice bold creek to enjoy on the hot summer days. There is also a RV hook-up on the property for family with a camper or RV. Great vacation or a retreat home place. All Offers are subject to court approval and a 10 Day upset Bid.